Mechanically deboned chicken meat protein concentrate (CMPC) was mixed with 30, 40 and 50% glycerol to produce films and physical, thermal, chemical, morphological and microstructural properties of films were characterized. The apparent porosity of films increased with increasing glycerol content which was due to the increase of free volume in film matrix (P < 0.05). The higher the apparent porosity, the greater the water vapor and oxygen permeability of films were (P < 0.05), which means gas molecules are permeating through pores. 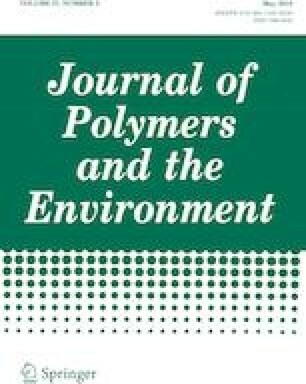 Puncture strength of films decreased as glycerol concentration increased, whereas puncture deformation was increased (P < 0.05). Lower glass transition temperature (Tg) observed as glycerol concentration increased, and Tg values of films were well fitted to Gordon-Taylor model as a function of glycerol mass fraction. Higher glycerol concentrations led to decrease of onset temperatures of weight losses, while weight loss increased. Infrared spectra of films showed similar backbone structure, but increasing glycerol concentration affected to peak intensity around 1000–1100 cm−1. All films had low percentage of degree of crystallinity. CMPC films showed lower contact angle than 65° and all films had hydrophilic surfaces. The surface morphology of films showed that films plasticized with 40% glycerol had the lowest roughness value (P < 0.05). Micrographs of films also showed porous surface structure as glycerol concentration increased, and these images supported the results of porosity, mechanical and barrier properties of films. It can be concluded from these results that glycerol at 40% concentration showed the best results when compared with the other two concentrations. This study was derived from Ph.D. thesis of first author, and was supported by Ondokuz Mayis University Research Foundation (Grant No. PYO.MUH.1904.15.006). Some parts of this study was performed at Healthy Processed Foods Research unit at Western Regional Research Center, Albany, CA (WRRC/ARS/USDA), while the first author was supported with a scholarship granted by The Scientific and Technological Research Council of Turkey (TUBITAK) (Grant No. 1059B141500356).